When talking about the BRICS countries and their role in development, there is a lot of hot air surrounding debates on ‘South-South cooperation’ and plenty of warm words offered about ‘mutual learning’ and ‘solidarity’. But it was refreshing to be at a conference last week at PLAAS in Cape Town on the engagement of Brazil, China and South Africa in patterns of agrarian change to start from a different perspective: the influence on development pathways by the BRICS as new hubs of capital. The proposition of the BICAS group – similar but with different emphases to the CBAA project (also affiliated to the Future Agricultures Consortium) – is that we have to understand the origins, political and economic driving forces and limitations of the new hubs of capital, in order to get to grips with new dynamics of agrarian change across the world. There was a huge amount discussed at the conference, and the details are only now sinking in, but let me offer a few first thoughts on the emerging debates and their implications. Despite the hyperbole often associated with ‘rising powers’, one thing that struck me from across the presentations was the limits to accumulation and the extension and penetration of new forms of capital. There has been much debate about ‘land grabbing’, alongside much misinformation and confusion about its extent, but many of the big investment deals that were profiled soon after the 2007-08 crisis have not materialised, and even very high profile programmes – such as Prosavana in Mozambique, the subject of much debate and a panel at the conference – have not really materialised on the ground. Capitalist accumulation of course takes many forms, and not always those of violent displacement and dispossession. Instead, a much longer, quieter pattern of accumulation may be happening, driven by a new global configuration of capital. This is what Jun Borras called for southeast Asia, the ‘thousand pin pricks’ of small scale transfers of land and extension of (often) Chinese capital in the region. In Africa too, while land grabs still continue, Ruth Hall emphasised the extension into processing, input supply, agricultural technology including seeds, transport and retail. The multiple ‘value webs’ created are crucial in understanding the impacts of the extension of capital from the new hubs. Compared to dramatic grabs, the slow, cumulative ‘dull compulsion of economic relations’ may have as big an effect in the end. But, participants argued, this requires a different lens to understand its dynamics. Of course since the financial crisis, the possibilities of accumulation have changed. Africa with its vast land area, and apparent emptiness, was seen as a new frontier. But since then commodity prices have collapsed, and the urgency of seeking new markets via Africa – to Europe and beyond, possibly assisted by aid-funded preferential access and state support from African governments eager for investment – has receded. Africa in particular has proven a tough place to extend business ventures. Red tape, local politics, harsh environments, poor infrastructure plague new capital, just as they have old capital. Domestic political contexts and economic imperatives in China, Brazil and South Africa have changed too. Talk in China is of the ‘new normal’ where consumption demand stabilises, and growth rates decline from the supercharged levels of a few years ago. As China turns to rebalancing and making the economy more sustainable, the massive commodity demand has tailed off. This of course has a direct impact on Brazil, where the decline in commodity prices, particularly in agriculture, has major consequences. This has combined with the domestic political crisis dominated by corruption scandals and a backlash by the middle classes. Concerns again are more inward looking. South Africa has its own economic and political crises, reflecting its failure to deal with the legacies of apartheid, as discussed on this blog last week. This at one level pushes capital to seek alternatives elsewhere, but also highlights the rather fragile claim to be a ‘rising power’, when perhaps Nigeria will prove its economic might in the region if conflicts in the north can be addressed. Another theme running through the conference, and now more thoroughly understood thanks to some great new work, is the influence of financialisation. This is transforming land and agrarian change, as new players – be they equity funds, sovereign wealth investments, or banks of different sorts – see land and agriculture as new asset classes and investment opportunities. As Moises Balestro commented, the old landowning rentier class of Brazil has a new ally in financialisation. This transforms the way capital operates – no longer necessarily driven by companies associated with nation states (whether BRICS or not), but often truly globalised flows of finance that upset the notion that new political blocs centred on states rule the roost. Such finance has no particular national character, nor any form of political accountability, yet has enormous power and influence. Alongside these changing dynamics of capital and accumulation trajectories, another theme of the conference was how the political economy of the new hubs of capital establish the nature and direction of new investments abroad. This is a strong theme of the CBAA project that argues that the histories of domestic political economies in China and Brazil, and the associated imaginaries and narratives of agriculture and development, strongly influence what forms of agricultural development cooperation arrives in Africa – and so the meanings of agriculture, farming and development, and with this the pathways that emerge through these encounters. In Brazil the long-running tension and political accommodation of both agribusiness and ‘family farming’ with agrarian reform, that Sergio Sauer and Sergio Schneider both talked of, is exported in various projects and technical assistance programmes. Models appropriate to Brazilian contexts – and reflecting this on-going very Brazilian political struggle – arrive in Africa, resulting in frequent confusion, as various cases under the CBAA project describe. From China, the tension between ‘filling the rice bowl’ and the need to keep a stable, rural peasantry and the narrative of agricultural modernisation was discussed by Ye Jingzhong. This is also reflected in its ‘going out’ policy, as elaborated in CBAA work by Chinese Agricultural University colleagues led by Li Xiaoyun. Thus in different Chinese Agricultural Technology Centres, emerging from different provinces in China, very different visions of agriculture and development are reflected. There is no one China, and variegated forms of capital, reflected in the range of emphases of Chinese State Owned Enterprises that generally run these centres in Africa. South African capital as it extends into Africa reflects a more unified vision, with its projection of large-scale commercial farming and vertically integrated value chains. This of course mirrors the historical evolution of South Africa’s agrarian sector, from the apartheid era to today, linked closely to what Ben Fine calls the minerals-energy complex that has historically defined South Africa’s political economy. With the power of large agribusiness even more entrenched by the processes of post-apartheid liberalisation, and now reinforced by financialisation, the extension of South African capital, perhaps especially in retail, processing, transport and logistics, but also technology and input supply is, as Ruth Hall and Ward Anseeuw, described, pushes a very particular logic and vision. There is thus a striking mirroring of domestic struggles, tensions, accommodations and political-economic dynamics as capital extends from the new hubs. This imposes particular directions for accumulation and investment, and smooths certain paths for capital, and so the nature of investments. For this reason, in order to understand agrarian change, the scope must be cast wider, as much activity is focused on roads, mines and infrastructure development. Across the world, aid and state backed investments in ‘corridors’ and ‘investment zones’ are providing conducive conditions for capital accumulation. New agribusinesses follow on behind, often as the second or third wave of investment. This is a long game, where the quick wins of the speculative post-crash boom have gone, but state-capital alliances are forging longer term patterns, setting in train investments and visions of development framed in very different contexts, as Chinese, Brazilian and South African hubs (as well as Indian, Turkish, Indonesian, Vietnamese and other new hubs) extend their reach. To my mind, this is the context in which the high-sounding rhetoric around ‘South South cooperation’ must be set. For Zimbabwe, ‘Looking East’ to China – or to south of the Limpopo to South Africa or across the Atlantic to Brazil – must be seen in this light. While ‘conditionalities’ are not as imposed by the west or the old International Finance Institutions of the World Bank or IMF, there are consequences of engagement. Transfers are not just cash or technology, but much more. They include visions and trajectories of development that were constructed elsewhere, and so carry with them different politics and economic relations. Talking about the emergence of a class of new entrepreneurial farmer, linked to urban markets, in Tanzania (very similar in many ways to what we see in Zimbabwe today), Marc Wegerif, only half jokingly, commented that being low on the World Bank’s index for doing business may be a good thing, providing some level of protection for smaller, domestic economic players. No-one denies Zimbabwe needs investment, but this conference reemphasised that understanding the wider system of finance and capital accumulation in a regional and global context is essential, so this can be responded to strategically. There is a lot that is written about Zimbabwe that is misleading. But sometimes a piece appears that really beats the field. This week a blog from the Centre for Global Development in Washington joins that category. This claims that ‘misrule’ has cost Zimbabwe US$96 billion. I would normally ignore such articles, but the CGD regularly produces some quite good material, if a bit close to the Washington view of the world on occasions. I also have been sent this article several times by my regular ‘correspondents’ to show (again) how wrong I am about Zimbabwe. So I thought it deserved a bit more attention, and now a blog, as I think it illustrates rather well a wider problem of the use of statistics in misleading ways. This is not exclusive to this piece. Far from it. For example, a few weeks back when I was in South Africa I was reading the Cape Times over breakfast and was confronted by a whole page on Zimbabwe (the hook was Mugabe’s birthday) written by Professor Robert Rotberg from the Harvard Kennedy School. This purported to show how disastrous things were through ten points. I was so flabbergasted by the content that I totted up the ‘facts’ that were presented that could be challenged with real field data that I and others had collected. There were 12 – one for each of the ten points made and two more besides. It was quite extraordinary how an author (nay illustrious ‘expert’) and an editor (of a perfectly respectable paper) could get away with it. But sadly it happens nearly every day, and most such interventions go completely unchallenged. Anyway, the point is that in writing this blog each week I have plenty of material to reflect on, but most is not worth the time of day. However, I thought I should offer some response to the CGD piece, given its provenance and the way it illustrates a wider problem. The blog is written by Todd Moss who is COO and Senior Fellow at CGD, and was formerly Deputy Assistant Secretary in the Bureau of African Affairs at the U.S. Department of State and previously advisor to the Chief Economist in the Africa Region at the World Bank. 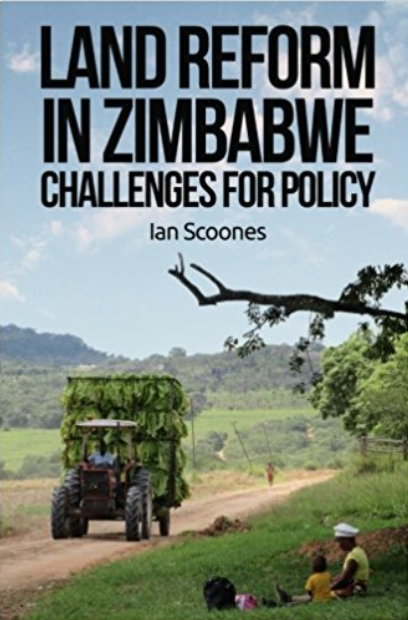 He certainly has impressive credentials, and has written other material on Zimbabwe, but I cannot see from the website whether he has actually done field research in the country. So where does the $96 billion figure come from? 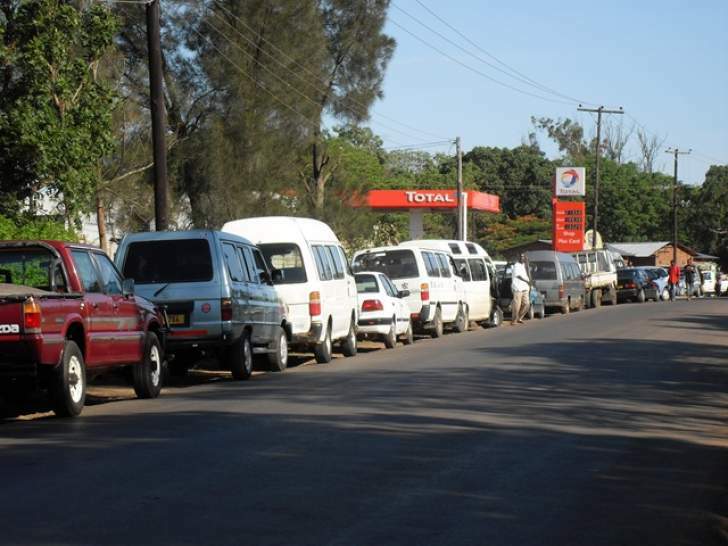 The blog presents the sorry story of Zimbabwe’s collapse in the formal economy from the early 2000s to 2009 and its slow and weak recovery since. The indicator used is the standard GDP measure. This is compared with a ‘what if?’ argument. What if Zimbabwe instead of declining grew at the rate seen in Zambia? The difference between the two scenarios is presented as the ‘loss’ that Zimbabwe has suffered. The main argument is encapsulated in a graph, with the large deficit highlighted. The blog urges readers to tweet the graph to the world. Here is a very explicit and in some ways quite effective attempt at creating a ‘killer fact’, one that will become a focus for media articles, and a hook in the wider discourse (a phenomenon that Duncan Green from Oxfam has written on). So why is this ‘fact’, and its wider narrative problematic? There is no denying the catastrophic collapse of the formal economy in the 2000s, and also the weakness of the recovery since, now faltering once again. Equally, the scale of graft and unaccountability was recently illustrated in the media exposes of highly paid parastatal officials, although these have now been capped. But what else needs to be taken into account when making an assessment? Here are four points. First is the problematic statistic of GDP, particularly in African contexts. Morten Jerven has written lucidly about this issue in his fantastic book Poor Numbers; a book I highly recommend to Dr Moss, and anyone else thinking about African economies. GDP numbers are usually fabrications with little basis in reality, and they shift dramatically depending on the assumptions made and the data collection techniques used. They show something about the formal economy, at least in terms of trends (no denying that for Zimbabwe), but they need to be viewed with very large pinches of salt. Second the official statistics only pick up a fraction of the range of economic activity, especially in economies that have large informal sectors. With the restructuring of the economy since 2000, the informal sector in Zimbabwe has grown massively. Tendai Biti, the former MDC Finance Minister, argued recently that it represented most of the economy, perhaps over 80%. If so then the recent figures in the CGD graph represent only represent a small proportion of total economic activity and should be multiplied many times – in which case the disparity with Zambia would shrink dramatically. Of course this would be equally spurious, as Mr Biti’s guess is just that, and in fact we have no idea what the scale of economic activity is, as the standard statistics do not tell us, as statistical services measure only a fraction of the ‘informal sector’; a point made forcefully by Professor Jerven. Third, Zambia’s economy has certainly grown but from a low base. In the 1980s and 90s in particular the economy was in dire straits. So the growth rate that has been used in the projection is to some degree a bounce back, driven in large part by the growth of commodity prices internationally. As a resource dependent economy, the dramatic growth is highly dependent on the price of copper, for example. And this has accelerated, in turn driving growth. There are of course other vibrant sectors, including tourism, but Zambia’s economic growth, and its projection into middle income status, is based on quite fragile and narrow foundations, with question marks being raised about job creation. Fourth, we have to ask how economic activity is distributed to make any useful assessment in relation to development. The benefits of growth in Zambia is massively concentrated. The bigger winners are international mining capital and South African retail and services. Of course this generates some jobs and tax revenues, but the distributive effects of such forms of growth have to be questioned. A broader based growth grounded in redistributive policies is perhaps more sustainable, and certainly more equitable in the longer term. Zimbabwe has certainly not got there yet, but the land reform for example has laid the foundations for this in the agricultural sector. I could go on. If we probe a bit we can see that the ‘killer fact’ loses its shine quite dramatically. Its construction and deployment in an essentially political argument is clearly problematic. It would be just as problematic for example if Professor Jonathan Moyo – Zimbabwe’s Minister of Information and spin doctor extraordinaire – used the same figure to argue that this was the cost of international ‘sanctions’ on the country in the same period. Both Moss and Moyo would be using a spurious statistic to bolster a political narrative that is far too simple an explanation for a complex and evolving process. So if you hear this figure again, or any other presented in this sort of way, think twice. More likely than not the statistics will have been conjured up to a suit a predefined narrative. Ask about its source, and whether real field research underpins it. More questioning and critique of such statistics and the narratives that they give rise to is essential to pick apart complex realities from dubious myth making. Land use planning has a chequered history in Zimbabwe, but despite this it seems to be back in vogue. As the state and its associated technocracy tries to get to grips with the informality unleashed by land reform, creating order through planning is a more and more frequent refrain. Land use planning was used as a tool of control during the colonial era and, as a result it became a focus for resistance during the liberation war. Managing land and its use is always political, despite the proclamations of a technocratic state that science should prevail. The height of land use planning was of course during the implementation of the notorious 1951 Native Land Husbandry Act. Mike Drinkwater and Jos Alexander among many others have described the consequences, and the implications for people’s livelihoods and also social and political configurations in the countryside. Terry Ranger in particular described the implications for political mobilisation before and during the liberation war. The plans associated with the Act had precedents in the technical advice of ‘Chief Instructor to the Natives’, E.D. Alvord, dating back to the late 1920s. Indeed the Southern Rhodesian state had a long history of imposition of plans, rules and regulations that influenced and limited how people could live and farm. People were put in settlement lines, contours were dug in particular ways to prevent soil erosion, gardens were banned from within 100 feet of waterways, the pulling of sledges was banned, and so on, and so on. Perhaps the most extreme imposition was destocking that was aimed at bringing livestock populations within a notional ‘carrying capacity’. All of this was justified by science. There was a science of ‘civilised agriculture’ as described in a paper I co-authored with William Wolmer back in 2000. There were impressive scientists and field practitioners involved in defining the parameters. Alvord himself was of course one, but there were many others. Illtyd Pole Evans was another. He had a major influence on grazing management policy, influencing the 1939 Commission of Enquiry into Natural Resources of the Colony, and extension policy on ‘communal grazing’ ever since (despite my and others’ attempts at a critique from the 1980s onwards!). There was a scientific rationale justified according to certain assumptions, usually derived from large-scale commercial farming. Thus ‘optimal’ stocking rates were based on beef ranching, and rotation and cropping systems based on extensive commodity production. Thus mixed livestock and cropping systems, and such practices as intercropping were banned. Indigenous systems for soil and water conservation were looked over, and engineering solutions derived from elsewhere (often South Africa or the US) were imposed. Optimal land uses were defined according to ‘suitability’ and ‘capability’ maps based not on people’s social-cultural and economic needs but on soils, rainfall and vegetation patterns. The most famous such mapping was conducted by Vincent, Thomas and Staples in 1960 in their agroecological survey of Southern Rhodesia that defined five ‘natural regions’ in Zimbabwe. Even today we still hear cries that particular areas should not be used for cropping, and are only suitable for livestock, even if cropping has been part of livelihood systems for centuries. Again, an industrial, modernist, commercial production imaginary is imposed, in neat, scientized maps and charts that carry with them an authority that has had huge implications. Today there are calls for a new effort in land use planning. The World Bank is reportedly planning a major exercise. There are some good arguments put forward, not least by Mandi Rukuni, who knows the history well. Through the land reform the use of land has changed dramatically, and without a sense of what is where, sensible planning cannot take place. Some areas need to be protected from encroachment, such as agricultural land near urban areas, and so some form of regulated zoning is required. And with a clearer picture of how land is being used, a land administration system can be developed, allowing registration, the issuing of leases, perhaps land taxation. These are all sound reasons for investing in some efforts. But the lessons of past attempts should be borne in mind too. The temptations of over-eager technocrats in 2014, just as 60 or more years ago, need to be offset. There is too often a sense that ground level problems will be solved through ordering, control and technocratic imposition. The view from above, from satellite images or air photos, can be misleading. And the urge to draw lines with the chinograph pencil or (more likely these days) the computer cursor that runs roughshod over people’s own constructed and lived-in landscapes is high. There has been much wringing of hands among Zimbabwe’s planners, as well as many others, about the ‘chaotic’ nature of land reform. Indeed ‘chaotic’ has become the statutory epithet in both academic and media commentary. Yet, as we showed in a paper now over a decade old, there was order in the chaos, and war veterans involved in land invasions often bizarrely followed old planning rules in the early allocation of land and settlement before the formal ‘fast-track’ planning took over. The technocratic impulse is strong, even among those who fought a war that mobilised people against the impositions of Rhodesian planning laws. Indeed, as we have shown in our work in Masvingo, it was the responsive informality and often the breaking of old rules and regulations that has allowed A1 farms in particular to develop. Unconstrained by particular requirements, they have been able to adapt to circumstances without the strictures of a constraining technocracy. Similar results have been found from across the Limpopo where in South Africa the technocratic impositions on land reform have been highly disabling. Here too it was the informal settlements that prospered most, whereas those that followed the rules and land use plans were almost designed to fail from the start. While not advocating a completely anarchic approach (there are clearly some regulations around land and its use, perhaps especially around environmental management that make sense), avoiding closing down flexibility and options for change should be avoided at all costs if the current revival of land use planning is to have a benefit. There is an urgent need to develop a more locally-rooted, participatory approach to planning, where external experts become facilitators, rather than imposers of state-defined scientific diktat. This really would be a revolutionary approach to land use planning for Zimbabwe. Zimbabwe’s agricultural extension service, Agritex, was the pride of Africa in the 1980s, before the ravages of structural adjustment hit in the 1990s. There were extension workers throughout the countryside, and a network of subject matter specialists, most highly experienced and qualified. The quality of the training and advice offered was unparalleled anywhere on the continent, and for a time the service was well resourced with extension workers reasonably paid and with transport and so able to move around. Today the extension service is a sorry reflection of past glories. Many qualified staff left or passed away (the ravages of HIV/AIDS hit many government services very badly), posts are unfilled, the transport capacity virtually non-existent and the ability to offer up-to-date advice severely hampered by the parallel decimation of government research services. Most farmers rely on private input suppliers, agrodealers and their neighbours for advice these days. Of course there are extension workers in the field, and they are usually extraordinarily committed and informed, despite the poor conditions of their posts. In the communal areas many get additional incentives from NGO programmes, often diverting their work to projects like conservation agriculture or group gardening. I had some interesting discussions recently with a number of former Agritex staff and resettlement farmers about what they thought of the service today, and what they thought about its future, particularly in the post land reform era. They reminisced about the past of course, and acknowledged how effective Agritex had been, but they were also sanguine about the future. What do the ‘new farmers’ really need? The discussion identified three important things: information (and particularly up to the minute market and price data), brokering (between farmers and contractors, suppliers, markets and service providers, to ensure that deals struck are fair and regulated) and business management skills (they were confident about agronomy, but not running a business, even a small one: managing accounts, cash flows, investments and the rest). This is a very far cry from the standard Agritex approach, based as it was on the old World Bank Training and Visit system, and of course with its roots in the colonial era with the post of ‘Chief Instructor of Natives’ held by the famous American missionary, E.D. Alvord for many years. Today the emphasis should be very different, my informants suggested. This would require a total rethink of Agritex, and agricultural extension in general. Indeed a department in the Ministry of Agriculture may not be the appropriate organisational vehicle at all. My informants pointed out that the new farmers, compared to their compatriots in the communal lands, were younger, better educated, more mobile, and with good access to town. They all had mobile phones, and many had smartphones with Internet access. Many were making money, and had investment, marketing and business planning decisions to make, often juggling an agricultural enterprise with other activities. Many women were independent operators, or took on particular roles within a more complex business than the standard communal area farm. Of course not all resettlement farms are like this, just as not all communal area farms are classic family smallholder farms focused on subsistence agriculture with some off-farm activities. There is a huge diversity, and tailoring approaches to extension and development more generally to different groups is essential. In our study in Masvingo we identified 15 different livelihood strategies across the sample of 400 households in 16 sites that we clustered into four broad types. In a recent DFID-funded initiative three categories are identified that roughly chime with our livelihood types: market oriented surplus producers, smallholders who are surviving and are in need of livelihood support, and those who are struggling and in need of social protection. Our discussion focused on the first, and some of the second, group. But this is a big and growing proportion of the new farming population, and the one that is really going to get agriculture moving. While social welfare approaches are clearly necessary, if there are to be long-term transitions out of poverty and onto growth paths that are sustainable backing those who are engaging with markets, developing their farms, and investing should be a priority. And supporting such people with the type of service that meets their needs I would argue is a useful public service. Some of it of course could be paid for in time, but as a strategic government investment it could easily be justified. The new DFID programme is being implemented by FAO, and appears to be focused on ‘training’ focused on building ‘resilience’ through ‘climate smart agriculture’, with a range of high-sounding objectives set. But is this going to be old-style training, rekindling the glory days of 1980s Agritex (although in this case implemented by NGOs) and focused on instruction and demonstration around farming techniques (including conservation agriculture)? Or will it be building capacity around the priorities of information, brokering and business that we identified? There has been a repeated default in new programming by aid agencies as well as government to return to the past, and not rethink for the future. This is $48 million of UK taxpayers’ money, so let’s hope it is better focused than previous efforts, and helps to rebuild an agricultural research and extension capacity in Zimbabwe that is fit for its new purposes.